I’ll never forget the Native American museum exhibit of a pit house in Anchorage, Alaska. I couldn’t stop staring at it. 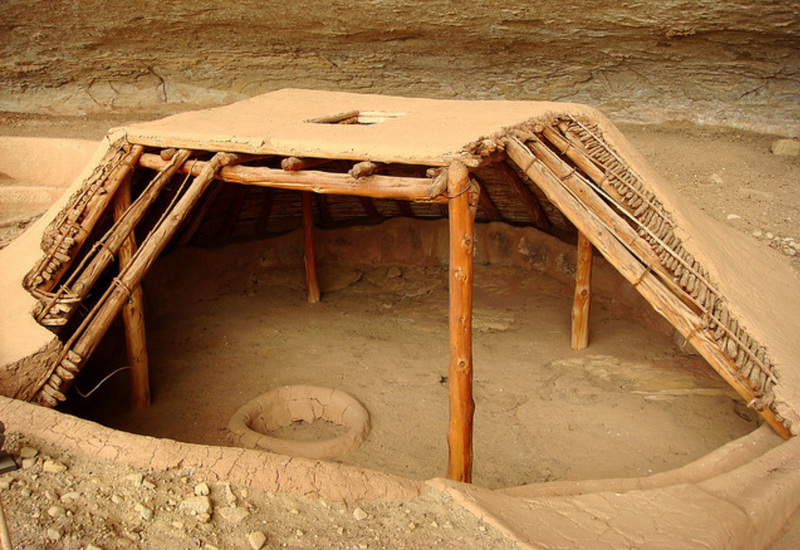 Pit houses are so simple and yet so effective that people lived in structures like this for thousands of years with relatively minimal environmental harm. This building method and lifestyle really captures my imagination and provides many lessons for modern societies. Earth sheltered housing is the way to go, especially in harsh, cold climates like Canada. I’m surprised more people don’t build along these lines. Why not take what’s proven to work and update the design to suit our needs? That’s exactly what I did with this design. I was looking at pit houses on the Internet and realized you could just add windows on one side and greatly improve the design. And instead of a square, make it rectangular for additional solar gain. Yesterday’s post showed the proposed Solar Pit House floorplan. Tomorrow’s post will examine the section view and structural details.